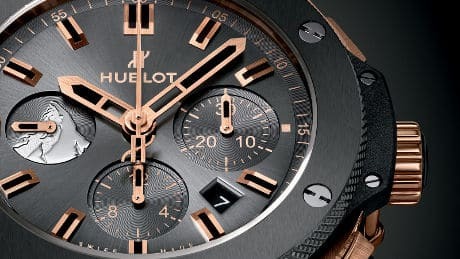 Swiss luxury watchmaker Hublot is letting customers check the authenticity of their timepieces, download manuals and register for the brand’s Hublotista Club by tapping a contactless card against their phone. The service is being offered with all Hublot watches as the official method of certifying authenticity. “This new technology, developed by Wisekey with the name NFCTrusted, extends the previous WiseAuthentic authentication platform used by Hublot to NFC,” electronic security specialist Wisekey says. “The NFC card acts as the watch’s passport provided in every watch box. The Hublot NFCTrusted card incorporates a cryptographically secure Wisekey digital certificate stored in its secure element. “Hublot has two kinds of NFC cards,” Wisekey told NFC World. “The black watch card and the red retailer card. The red retailer card is used by retailers to gain access to the Hublot Sellout platform. Each retailer has their own card which, like the watch card, also contains a unique digitally signed certificate. “This combination provides a secure and mobile solution which is impossible to forge or reproduce,” says Jean-Claude Biver, chairman of Hublot. “These NFCTrusted tags can be embedded in virtually any product, piece of equipment or common household item and users can verify authenticity with an NFC-enabled smartphone or connected device,” explains Carlos Moreira, CEO of WiseKey. Italian luxury jewellery brand Bulgari has also been working with Wisekey and announced an NFC-equipped watch in March 2015.